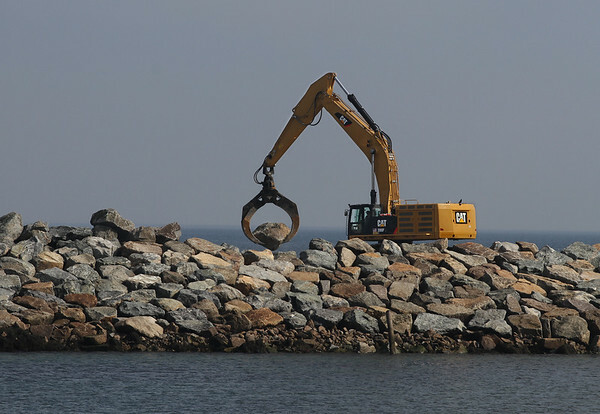 A worker with Classic Site Solutions of Springfield uses an excavator to move a rock into place Thursday as the reconfigured breakwater takes shape in Rockport Harbor. The $2.9 million federal project is expected to be completed around the beginning of May, according to Scott Story, one of Rockport's two harbormasters. The work should have no effect on the start of the 2015 boating season, Story said.